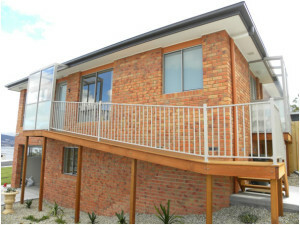 Aluminium front and back porches custom made to suit your requirements. Wide range of aluminium frame colours available . Can be left open or fitted with a security / barrier door. The roof can be manufactured out of a 50mm double sided aluminium roof sheet with trims or a 50mm roof bar and glazed in clear safety glass or twin wall polycarb.